I'm still a Gilette Fusion man myself—more blades, more better!—but I might finally switch to an electric shaver after reading the carbon footprint breakdown: Electric razors use 30x less energy. How does Slate figure? An electric razor runs on 5-6 watts, consuming 0.35 kilowatt-hours a year. But! 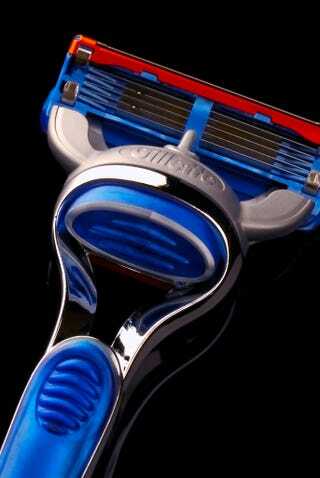 Most dudes using a disposable razor use a quart of hot water, using 10.4 kilowatt-hours a year.